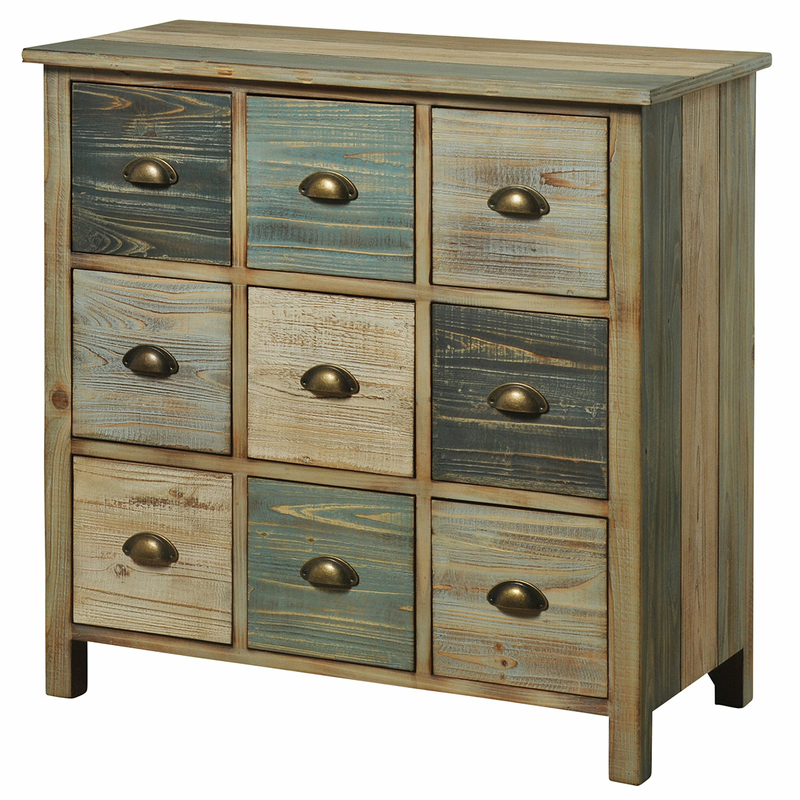 Create a beach atmosphere in your bedroom with the Bayside Apothecary Chest. This chest features a simple design featuring nine drawers in a distressed multicolor finish with metal handles for defining style. 34"W x 16"D x 34"H; 59.5 lbs.